Farmers are at the mercy of the weather when it comes to making their business a success. What they grow, when they grow it and how well it fares depends on the season. Certain crops are only grown at particular times of year, while some are highly affected by even the smallest of weather changes. Australia has seen a significant amount of variable weather over recent years, with continuous drought in some regions and flash flooding in others, making it hard to farmers to know what to expect from their business. As seasonal risk continues to fluctuate, farmers need crop insurance policies designed to suit what they're growing at any given time, and the types of risk their unique circumstances bring. Insurance brokers need to understand how seasonal changes affect every farmer they work with, and how the right insurance product is key in providing protection. For crop insurance brokers, it's about more than selling a policy. They must play a role in supporting risk management by ensuring potential perils are properly assessed and analysed, before finding a policy that supports a farmer's management practices. Few brokers understand Australian farming and the ongoing – yet changeable – risks these businesses face. Brokers must understand the types of seasonal risks farmers face. Five things all brokers should know about agricultural insurance seasonality. When a insurer assesses risk, they must take into account a number of variables that fluctuates from one season to the next. To determine the level of cover required and the premiums payable, crop insurers seek to estimate the value of a farmer's produce. Current yield estimates, price and demand predictions, the agreed excess and potential risks all form part of the assessment. All of these components are variable as seasons change, so in order for insurers to be provide the right policy, brokers must help their farmer's renew their policies regularly. Some seasons present more risk than others, and because this is not always determinable in advance, insurers may have to increase their prices the following year in order to continue providing cover. However, a bad season could encourage more farmers to buy insurance, which may help to stem price inflation. 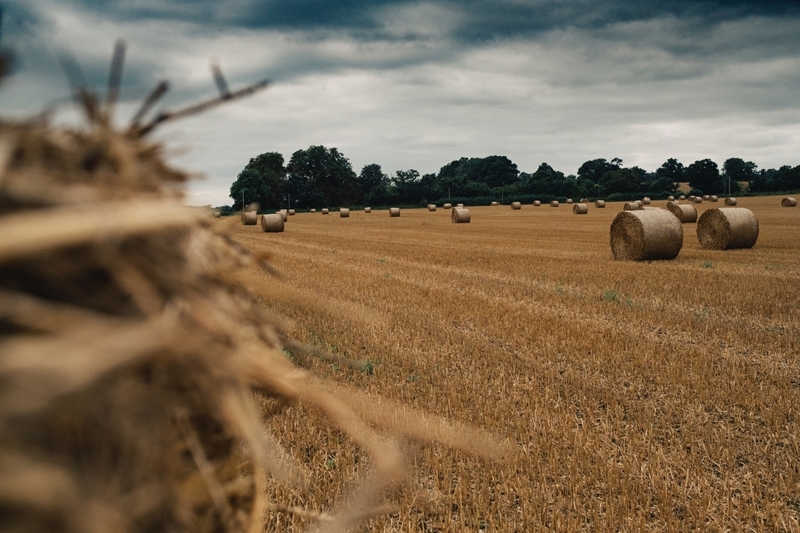 Likewise, an encouraging season may mean fewer farmers purchase farm insurance the following year, on the basis they have funds to cover another season, or they feel buoyed by recent successes. Recent successes and risks are taken into account when prices are set by insurers, and brokers should be ready to advise their farmers accordingly. Different types of risk require different types of insurance policies. A farmer faces a variety of different risks throughout a given year, many affected by the season they are growing in. According to changes in the weather, a farmer's main risks may vary from fire to hail, and from drought to flood. Seasonal changes may also bring a change in related risk factors, such as pests, as well as consumer demand, type of crop and growing method. Different types of risk require different types of insurance policies, as not all products cover multiple perils or crop types. The effect of any type of risk on a particular crop varies according to the growth cycle. Some types of crop can withstand unusual weather when they are fully grown, but face ruin if they are still emerging. As a result, it is best practice to insure these types of crop before emergence, to cover the most vulnerable period of growth. However, some farmers may choose not to insure while the outlook is good, preferring to wait until a risk presents itself before taking out cover. Some policies do not allow this, stating that insurance must be purchased at a certain stage in the growth cycle. Policies that cover permanent crops may have other designated cut-off dates that must be adhered to. Insurance products are always changing and a broker must familiarise themselves with new options as they become available. Relatively new to Australia's offer is multi-peril crop insurance. Rather than cover one or two types of risk, multi-peril crop policies insure a range of variables. This may allow a farmer to buy one policy that covers all of their farming activities over the coming season and the myriad of perils that may apply as a result. We have over 20 years of experience providing farmers with solutions they need to protect their farms. Our policies are designed to cover a wide range of crops, perils and farming practices to help every farmer find the cover they need to minimise their risk. To find out more about our products and offer, check our broker information page today.